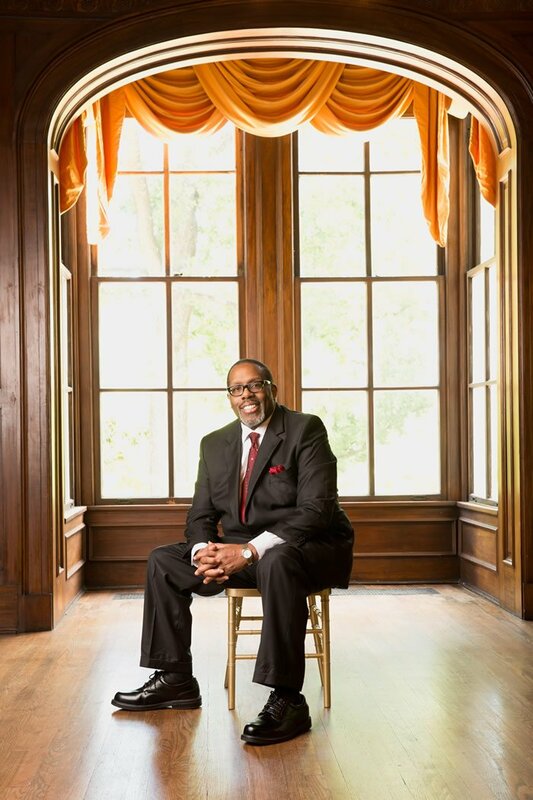 Apostle Alton R. Williams has served as Senior Pastor of World Overcomers Outreach Ministries Church (WOOMC) in Memphis, Tennessee, since 1981. Williams earned his bachelor’s degree from LeMoyne-Owen College and his graduate degree from The University of Memphis. He is also a graduate of Rhema Bible Training Center in Tulsa, Oklahoma, and he is one of the 12 Founding Fathers of the Full Gospel Church Fellowship of New Orleans, Louisiana. He has been married to Sherrilyn Williams since 1981. Together they have five children: Altronise, Sheronda, Alton Jr., Allison and Joy. As one of God’s new apostolic reformation end-time leaders, Apostle Williams is fulfilling his three-fold mandate to proclaim and help restore America’s Christian heritage; to empower believers to find their purpose; and to impact today’s culture for the kingdom of God. A visionary who thinks outside of the box, Apostle Williams’ Christian twist on the Statue of Liberty, also known as The Statue of Liberation Through Christ, proclaims Jesus as the true source of America’s liberty. The 72-foot monument has been featured in a wide variety of national media, including Charisma, The New York Times, Time Magazine, Rolling Stone, the MTV show Adventures in Hollyhood, and several Fox Television Network shows, including Fox & Friends and Hannity & Colmes. Apostle Williams is also a prolific writer and has authored over sixty (60) books and manuals intended to lay a foundation of correct doctrine for the Body of Christ, enforce kingdom conduct, holiness and biblical standards of righteousness, and develop leaders and ministers for ministry. Under Apostle Williams’ direction, World Overcomers (WOOMC) has grown to a membership of over 12,000 people. WOOMC offers several community outreach ministries and support groups for men, women, teens, children, singles, couples, seniors, and many others. Apostle Williams’ passion for understanding and applying God’s Word led him to launch several training and leadership institutes at WOOMC. He is also establishing Bible schools in Zambia, Brazil, and 24 other nations around the world. Apostle Williams has led WOOMC in several local, national, and international outreach efforts, addressing such social ills as family disintegration, poverty, domestic violence and infant mortality. WOOMC has sent thousands of Ethiopian Jews back to their homeland in Israel, restored several Hurricane Katrina victims back to their homes, donated substantial funds for the Haitian earthquake relief effort, provided ministry and shelter to hundreds of abused, homeless and distressed women, and founded two churches: a North Memphis church and a Hispanic church. The Neighborhood Watch Program, designed to establish neighborhood watches on each street in Hickory Hill. The Youth Reformation Program, an initiative that teaches young people moral values and etiquette. The Business Security Cars Program, a WOOMC-funded service in which two security cars patrol the Winchester strip to protect businesses every night during high crime times. Prayer Mobile to witness to Hickory Hill crime victims and their families.